After many attempts, the sky cooperated at this wonderful location in the keys. 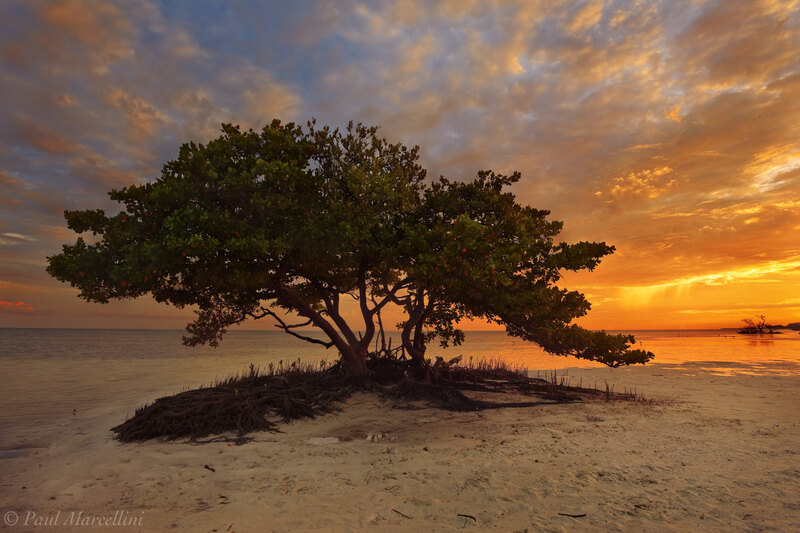 This "tree" is actually comprised of 3 species of mangrove growing together, the red, white, and black. Photo © copyright by Paul Marcellini.